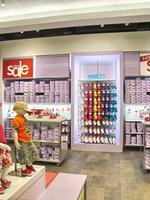 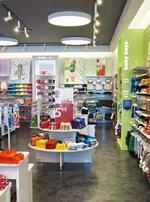 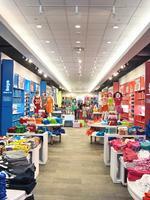 The new lighting at The Children’s Place creates a unique, distinctive, and playful visual retail environment. 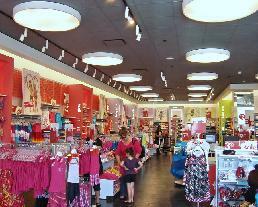 The goal of the lighting system was to; select fixtures readily available throughout the country; layouts can be configured for various store sizes and shapes; light fixtures can be installed in various ceiling types; and the lighting design must meet current energy code requirements. 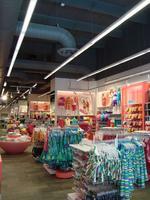 Ambient lighting is achieved from over scaled ceiling domes to provide a soft diffuse light. 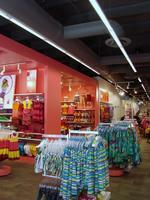 Merchandise is accent lit from adjustable track fixtures. 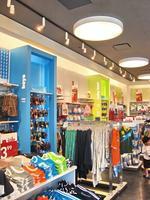 Key display cabinets contain an edge glow to create focus and highlight, and a continuous soffit ensures perimeter boundaries and walls are lit.